I finished my PhD five+ years ago. Am I still eligible to apply? Although postdoctoral awards will normally be awarded to recent or new PhDs (whose doctoral degrees have been conferred in the last five years), the IICSI Management Team also recognizes that these awards can be won by people who, for various reasons, have not taken the usual route. While PhD completion dates will be taken into account, IICSI postdoctoral candidates will be primarily judged on the basis of their merits. A cover letter is not required. It is best to include any important information in the 1,500 word statement of research proposal. No. Please submit only two letters of reference. In the event that we receive more than two letters for your application, we will include the first two received for review by the Management Team. Can I submit unofficial transcripts? Yes. You may submit an unofficial transcript with your application. However, we reserve the right to require submission of an official transcript prior to awarding a fellowship. I will complete my PhD by x date. Am I eligible to apply? Candidates who will be conferred by November 1st of the start of their term (i.e. 2018-2019 postdocs must be conferred by November 1st, 2018), are welcome to apply. You are welcome to submit a letter from your supervisor or committee confirming that your PhD will be completed on time. My doctoral degree is a “DMA” rather than a PhD. Is this eligible for consideration for the IICSI Postdoctoral Fellowship? Yes, accredited doctoral degrees are acceptable for consideration for the IICSI Postdoctoral Fellowship. My program/institution does not issue transcripts. What should I do? IICSI recognizes that many institutions do not use transcripts. If this is true for you, you are welcome to submit a copy of your diploma or certificate as testament that you have completed your degree. IICSI prefers to receive electronic submissions, sent to [email protected] You can submit MS Word (.doc or docx) or PDF files directly to us. We also accept applications by post. How should my referees submit their letters of reference? Letters of reference should be sent directly to us. We are happy to accept hard copies through the mail, but prefer that an electronic version be submitted directly by the referee to [email protected] in advance of the deadline. What is the street address for mailing referee letters or ordering official transcripts? Can I submit a writing sample in another language? Writing samples may be submitted in French or English only. Can I submit my thesis or book for my writing sample? Please send us a single article or chapter from your thesis or book only. Can an IICSI fellowship be held at any IICSI site? Because of our funding commitments and existing resources, one fellowship will definitely be hosted at Memorial University of Newfoundland and priority for the second will generally be given to candidates wanting to hold the fellowship at either University of Guelph or McGill University. However, a fellowship proposal focusing on improvisation and working with an IICSI researcher at any of the sites would be considered by the review team. It is expected that the Postdoctoral Fellows will be fully engaged with their host site, and will also seek some engagement with the broader institute partnership and annual colloquia at various IICSI sites during their tenure. Will the Postdoctoral Fellow have the opportunity to teach graduate or undergraduate courses? 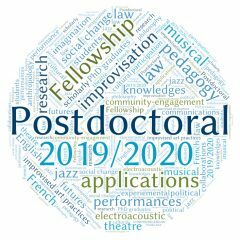 We expect that the IICSI Postdoctoral Fellow at Guelph may, depending on the successful candidate’s areas of expertise, research projects, and interests, have the opportunity to participate in the new graduate programs in Critical Studies in Improvisation, and to teach an appropriate module in the program. Please do also note that the fellowship amount is fixed in Canadian dollars.